Android is one of the most popular smartphone OS out there, and if you are reading this, I’m sure you are one of the proud owner of an Android powered Smartphone. Android is a complete smartphone OS in almost every sense, be it the availability of free quality apps on Google Play or friendly user interface or tons of functionality provided to the user. Only one thing that bothers every other Android user is the battery life of the phone. This is the one metric where the android stands a bit shy when as compared to the other mobile Operating Systems. 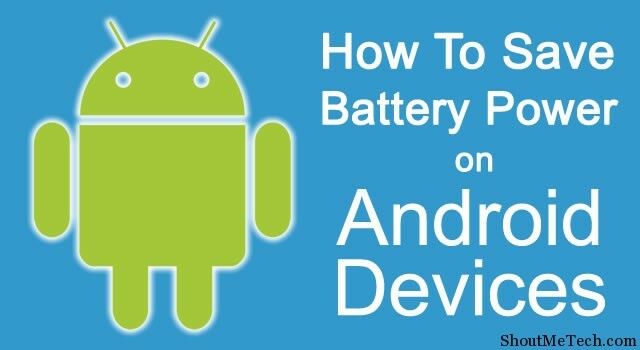 Though there are some beast phones such as Samsung Galaxy Note series and Huwaei Ascend Mate whose battery can last for even two days, but if talked in general the Android Phone’s battery life is a pain in the knee 😉 So to solve this general issue of the masses, we have some suggestions and tips following which you can make sure that your android phone’s battery lasts longer. When our phone battery is fully charged, we don’t worry much about draining battery power. We use 3G, Wi-fi, play games, in general we use our phone to maximum potential. But, when battery is as low as 20%, we tend to stop using battery draining apps and services, and that’s the time we feel the need of instantly charging our smartphone battery. A good idea is to keep an extra battery pack with you, that will ensure you never run out of battery. At the same time, I highly recommend you to follow below mentioned tips to save your battery power from draining fast. Having a huge screen is a cult in smartphone market these days, but this large display comes at a cost of drained battery power. But this doesn’t mean that you will never use your phone and try to conserve that last unit of volt. Well what you can do is to manage the brightness of the screen. When you don’t need a crisp, eye blinding bright display, such as in case if you are using your phone in a dark room, then decrease the brightness to that level on which you are comfortable with what’s being displayed on the screen. When you are not using the phone, lock it and thus switch off the display. Thus using the display options smartly, you can save on a big chunk of battery power. Having said that in the title, you might have figured out that if you don’t require your mobile data, WiFi, NFC, GPS, Bluetooth then please turn them off. All of these wireless communication media consume a lot of battery and should be turned off when not needed. Most apps on your smartphone have default settings of syncing files with their servers automatically after a set interval of time. Well, so what you are supposed to do is to do it manually instead of automatically. This could also save you a lot of battery power. Mobile data consumes more power than the WiFi, so whenever you have access to the WiFi, use that only and avoid using the mobile data. 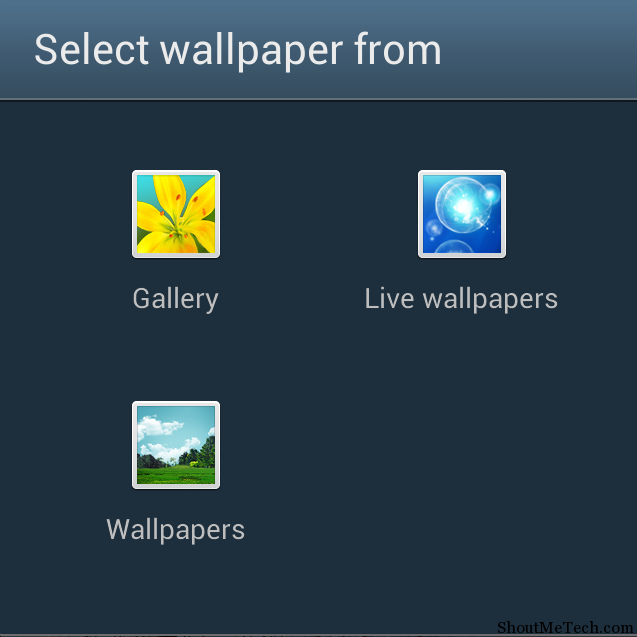 Live wallpapers, a big no! Considering that if you don’t have a phone with high mAh rating, you should avoid live wallpapers at all cost. No doubt they look cool but they leave your battery exhausted and you’ll have to start running for a charger and socket very often! 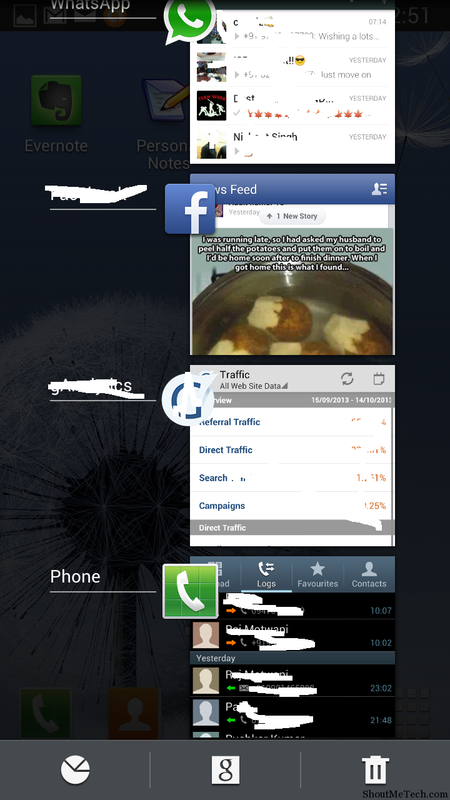 Widgets are powered to be live and display the changes in real time, so they are working in the background. You should not use many widgets together as they tend to decrease the battery backup. So, as a rule of thumb, don’t keep what’s not required, clear the clutter! Almost all of us have a bad habit of leaving the application running in background. No doubt we humans are made to be naturally lazy animals but if you want you battery to last a little longer, well killing your applications manually at the regular intervals could add up to the tally! Screen time out is that value of time after which your display is switched off if you are not using your phone. So, set this value to the least practical value possible. It’s a good thing when you get a feedback as soon as you type but those little vibrations that give you a satisfaction of you are doing something with the phone actually consume a lot of power, so if you listen to me, I would say better turn the haptic feedback off! The power saving mode, when turned on, makes the optimum use of your resources and thus helps in decreasing the consumption of the smartphone battery. 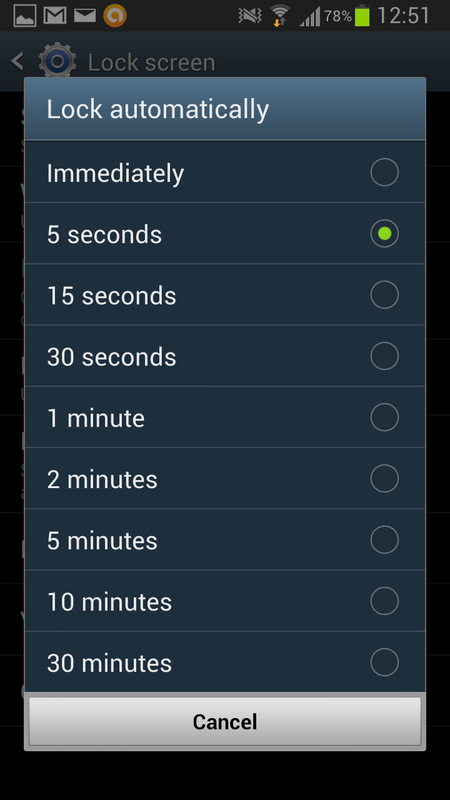 So here is what to do, turn on the power saving mode and you can save yourself a lot of battery power on your Android phone. Listen to your air hostess, not because she is overwhelmingly gorgeous, but because when you use flight mode when up in the air, it saves your battery power. Actually what happens is when you are flying, there is no network and your phone by default tries to lookup for networks, thus it ends of spending valuable battery power on doing so. So, next time use flight mode with a smile on your face, not with a frown that you are being said to “switch off” your phone! 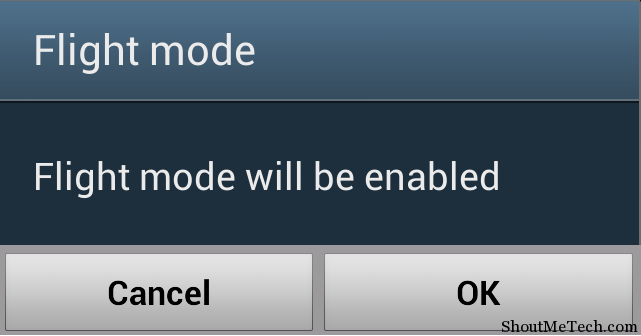 Some applications have default settings of sending data to servers in the background mode. Yeah your guess is correct; this also leads to battery drainage at a high speed. 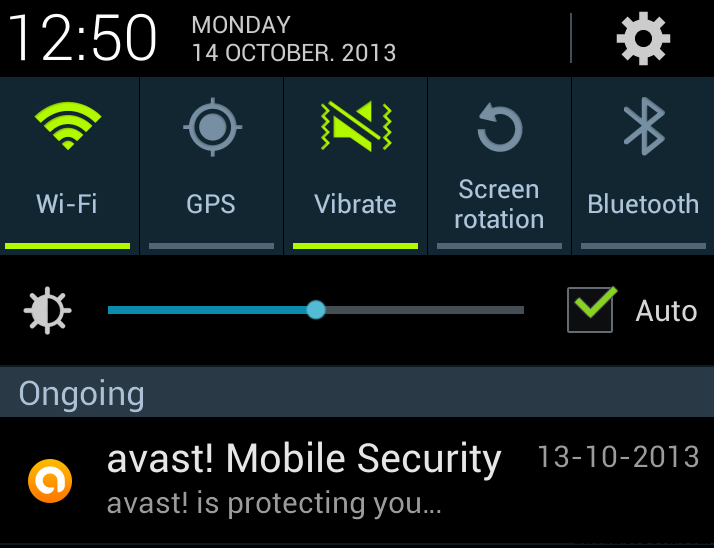 So what you can do is to enable the “Restrict background data” by going to settings>Data Usage”. Some apps are defamed of eating a big bite of your battery and moreover you won’t be using them that frequently, so for those kinds of apps, just one suggestion, avoid them. If you have some apps which you seldom use and they are lying in the corner of some screen, show no mercy, and just uninstall them! So here was a collection of some tips using which you can save on your battery power. If you found it useful, please do share it and if you have some suggestions or queries, please chuck your shyness and punch in some comments! Ramendu has written 1 articles. In some blogs I also heard that by going into setting options and making brightness High to Low we can save battery but you point of view is really helpful and can’t stop working on it. have taken noe of you points and steps that will help my battery. Always force stop heavy apps such that facebook youtube chrome after using them. These apps whenn remained opened in background use a large amount of battery. applications being heavy that facebook youtube chrome after using them. These applications whenn remained opened in background make use of quantity this is really big of.